In his first speech as secretary of state for health and social care in July 2018, Matt Hancock said he wanted “more people working in social care to feel able and supported to … develop their careers and step up into those senior roles that are crucial to providing leadership and determining the quality of care received by our loved ones”. As experts in medicines, pharmacists play an essential role in the wider healthcare team. This makes them ideal candidates to step up to leadership in the NHS, as Hancock desires. 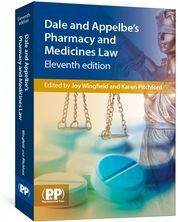 However, as clinical pharmacy practice has historically been linked to those working in hospitals or primary care clinics, it is easy to understand why the idea of clinical career progression has sometimes appeared to be a narrow slog to the top along a limited number of specialised pathways. But times are changing. Pharmacists are now seen as practitioners who provide comprehensive medicines management and related care for patients in all healthcare settings. And as clinical roles evolve, the idea of a career in pharmacy is moving away from working in defined sectors towards a more ‘portfolio’ approach. Thanks to a wider diversity of roles in the NHS, the prospects for career development for pharmacists and pharmacy technicians are increasing, with opportunities to develop knowledge and a range of technical, clinical, educational or managerial skills. One example is the workforce developments supported by the Pharmacy Integration Fund, which Christopher Cutts, pharmacy dean at the Health Education England (HEE)’s North School of Pharmacy and Medicines Optimisation, says are “widely accessible to pharmacy professionals”. This includes an innovative 12-month training programme offered by HEE and delivered by the University of Derby to support pharmacists working  in a virtual contact centre environment such as NHS 111 or an integrated urgent care clinical assessment service setting. The AfC pay system falls into nine pay bands, each with a number of pay points, and different tasks and responsibilities associated with the roles within each band. Pharmacists working in the NHS tend to work for around 37.5 hours per week (which may include shifts). They may choose to specialise in a particular area of practice, such as mental health, oncology or paediatrics, or move into management. Newly qualified pharmacists will usually start in the NHS at band 6 of the AfC pay scale and with further experience and training can apply for posts up to band 9. Newly qualified pharmacy technicians will usually start at band 4 of the AfC pay scale, also working for around 37.5 hours per week. With experience, they too can specialise in a particular area of practice or advance to become a senior pharmacy technician, responsible for the work of other technicians, or even a chief pharmacy technician, responsible for the day-to-day management of a pharmacy department. 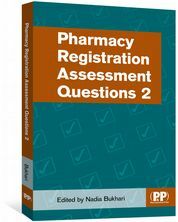 As far as pharmacy staff are concerned, the entry point for technicians, assistant practitioners, audio visual technicians, dental nurses and theatre support workers is band 4. Salary rates in 2018 start at £20,150 for those with less than one year’s experience, rising to £23,363 at the top of the band for staff with more than six years under their belt. Newly qualified pharmacists will usually start in the NHS at band 6 (with a starting salary of £28,050, rising to £36,644 for those with at least eight years’ experience). With further experience and training, pharmacists can rise through the bands and apply for posts up to band 9, which starts at £84,507 and pays £102,506 after five years’ service, and includes healthcare colleagues such as chief finance managers and directors of estates and facilities. For those taking up the expanding number of positions as GP pharmacists, short periods of preregistration experience is available in some areas and dual or longer placements are opening in some pilot schemes. 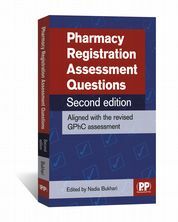 Experienced GP pharmacists typically work at band 7 and senior GP pharmacists at band 8a, although Ceinwen Mannall, national lead for clinical pharmacists in GP education at the Centre for Pharmacy Postgraduate Education, says that while AfC salary banding is usually applied in the general practice setting, this is not always the case and “the career pathway in general practice is less well defined”. “Some GP clinical pharmacists have negotiated increased pay following developing evidence and skills of their competence, and some have even secured GP partnerships,” she adds. In general, staff will normally progress to the next AfC pay point each year until they reach the top of their pay band; however, this is set to change, with a refresh of the AfC announced at the end of June 2018 following a consultation exercise and NHS trade union members voting to accept the proposed changes. Although the new pay structure — which will run from 1 April 2018 until 31 March 2021 — will increase starting salaries, reduce the number of pay points within a band and shorten the amount of time it takes to reach the top of the pay band for most staff, the new pay progression system will not be automatic. This may have an effect on current clinical career progression pathways as staff will only be able to progress to the next pay-step point in their pay band if they can demonstrate that they have completed the appraisal process “with outcomes in line with the organisation’s standards and no formal capability process is in place; there is no formal disciplinary action live on the staff member’s record; [and] statutory and/or mandatory training has been completed”. The changes apply to everyone who falls under the AfC framework — effectively leveling the playing field — and there remain plenty of opportunities for those who wish to pursue a career within the NHS. There is the opportunity to progress to team leader or supervisory positions in all pharmacy roles. For example, a chief pharmacy technician could be responsible for the day-to-day management of a pharmacy department. Pharmacists can choose to progress towards management or strategic roles or move into teaching or research. Some combine a clinical role with teaching, work as a consultant pharmacist or work in the pharmaceutical industry. There are also opportunities to specialise in areas such as haematology, cardiology, paediatrics, emergency departments, NHS 111, radiopharmacy, infection management and antibiotic resistance. In addition, the NHS, along with charitable and private organisations, will fund pharmacists to undertake clinical research and gain recognised qualifications such as a Master’s degree or a PhD. 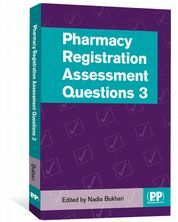 For pharmacists with their sights set high, the most senior roles achievable are those of a chief pharmacist in an NHS trust (which can reach AfC band 9), a regional pharmacy post in bodies such as HEE, NHS England and NHS Improvement (typically band 8c/8d), or a pharmaceutical advisor in a clinicial commissioning group (typically 8b/8c). While career progression for pharmacists in a clinical setting differs in practical terms from roles in non-NHS sectors that are not subject to the AfC, the aim is to encourage pharmacists from all areas of the profession to broaden their horizons when it comes to their ambitions. Peter Kopelman, chair of the Royal Pharmaceutical Society’s Faculty Board, says: “The changing scope of the pharmacist is considered within a context of greater integration between health and social care, and an appropriate mix between specialist and generalist pharmacy practice”. He believes that “true integration will only be achieved by a scheme of care that crosses health and social care boundaries — primary, secondary, community, mental health and local government”. Someone who has walked this path ahead of Kopelman is Narinder Kumar Bhalla, consultant pharmacist, medication safety, at Cambridge University Hospitals NHS Foundation Trust. After graduating in 1991, Kumar Bhalla completed his preregistration year and managed a community pharmacy for six months. His next move was to the Lister Hospital in Stevenage and then Addenbrooke’s in Cambridge. He initially worked as a resident pharmacist but became a formulary pharmacist, and then an adviser for a primary care trust, including a spell as head of medicines management. After three years at the trust he returned to hospital as lead pharmacist for clinical governance. In 2010, Kumar Bhalla became consultant pharmacist for medication safety. Nonetheless, working in pharmacy demands commitments other than hard work. Thomas James works as a medicines management pharmacy technician at North Essex Partnership Foundation Trust and says you have to be prepared to relocate for the job of your dreams. After starting out as an assistant technical officer in a local hospital pharmacy, he decided to enrol in the pharmacy technician course at Stoke on Trent College, while working at Russells Hall Hospital in the West Midlands. After completing his training, he says he was “determined to find the perfect job, and was prepared to move anywhere in the country for the right opportunity”. When it comes to practical advice for pharmacists and pharmacy technicians wanting to progress their careers within the NHS, it is this flexiblility which can open the most doors. Oksana Pyzik, senior teaching fellow at University College London’s School of Pharmacy, and global health advisor at the Commonwealth Pharmacists Association, says that it is helpful to gain wider exposure to the healthcare landscape in the early stages of a pharmacy career, before settling on a specialisation. “The case for generalism is not only made by the need for holistic delivery of care for our patients, but in generating healthcare policy with wide understanding of system design to achieve future efficiencies”, she says. 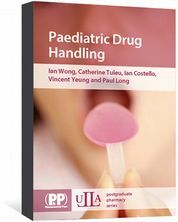 “In order to participate in these higher levels of policy, a strong track record across clinical settings, alongside strong research and analytical skills in evaluating evidence base, is essential. Within the NHS, all signs point to a future pharmacy workforce with expanded clinical capability, and advanced generalist and specialist skills. The way patients interact with the NHS is changing, but flexible thinking will help newly qualified pharmacists meet these challenges and propel themselves to positions they may never have considered. Take advantage of leadership skills development opportunities within the NHS. For example, the NHS Leadership Academy.